The speakers are Lynn Neary, the NPR broadcaster; Spencer Oliver, a former Congressional staffer and one of Bob’s then unnamed Iran-Contra sources; Jill Abramson, the former New York Times executive editor and a long-time neighbor of Bob and Diane’s; Brian Barger, Bob’s partner at the AP on many Iran-Contra exclusives; Joe Lauria, the Consortium News editor-in-chief who also read a tribute to Bob from legendary journalist John Pilger, who was unable to attend; a video tribute from Oliver Stone, the filmmaker, and Bob’s two sons, Sam and Nat. 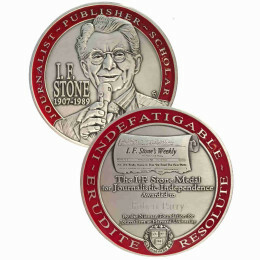 We present here a video of the entire memorial for the many admirers of Bob and his groundbreaking journalism. It runs one hour and seven minutes. Please click on “Watch on YouTube.” Apparently the National Football League has blocked the video from playing directly on Consortium News because it contains a very short clip of an NFL game. Robert Parry spoke the truth about power and the powerful commercial media companies that aligned with Washington officialdom. He was basically blacklisted from the commercial media which once employed him when he was a reporter. He uncovered many stories which were meticulously researched and were based on evidence and facts that the main stream press refused to report. 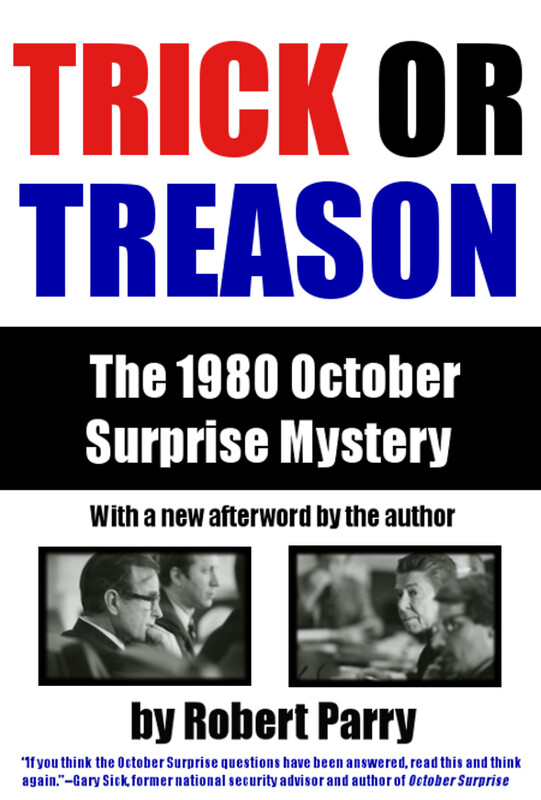 He reported on the Iran Contra arms deal which he concluded existed before Reagan’s election leading to the October Surprise and the election of the Regan Bush ticket ensured by a fait accomplie deal with Iran to keep the hostages hostages until after the national election. Congress was having none of that and cancelled the hearings abruptly for “some reason”. The reason was that they also knew what Robert Parry knew. He started this website as a way to get published what nobody in Washington or in the press wanted to publish. Bob remained true to his journalistic training until the end. He cut across political loyalties and also reported on stories that negatively reflected on both major political parties. He was never a yes man or a corporate media tool unlike most of the official press. Bob was willing to go it alone and establish a website where well researched non partisan news could be presented that was not aligned with any political party and which would present just the facts for readers seeking a viewpoint not aligned with a preconceived agenda. Bob probably wrote as many stories in his days as editor of Consortium news about misdeeds by republicans as he did for misdeeds by democrats. He simply wanted to tell the truth which is so often buried by the main stream press. Holy cow. The video embedded in this article was blocked specifically (by the NFL), but I could get it on Youtube. What gives? We’ll miss you, Bob. A giant. Or rather, I should say we already miss you. RIP to a great citizen of America and the world. The NFL is a tax-exempt charity. That is good for society. What a truly beautiful Celebration. Thank You. Thank You All! 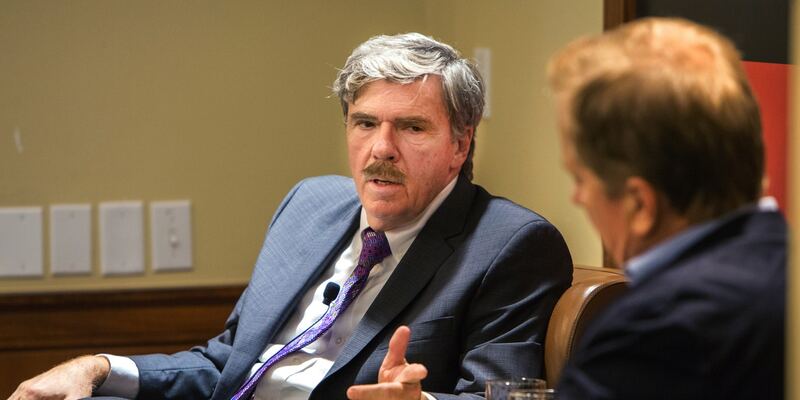 Much respect and gratitude to Robert Parry and his family. Yes, RIP Bob Parry. Again thank you Parry Family for sharing this (and Bob) with us. I was able to attend the West Coast version and it was a highlight for me. I truly felt like I as with colleagues. By teaching selfishness and greed as the highest human values, capitalism becomes a school for crime. In the single minded pursuit of wealth, anything goes, including devastating wars and global theft impoverishing billions of victims. The endgame of capitalism is a dystopian world that will be even more horrible than what we are presently witnessing. What worries me about this is piece is that its a year already! I could have sworn we lost Robert only a few months ago. Where has all the time gone? Perhaps even worse, things haven’t improved on the world stage since then. Were ghastly sites like integrity initiative and other outfits like news guard around last year? I don’t recall Robert having anything to say about them. 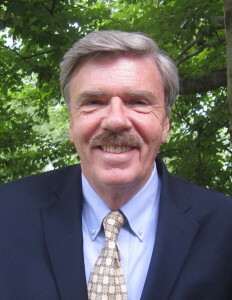 Much has happened in the year since Robert Parry passed away and alas we shall never be able to hear his take on it. Still, look on the bright side, Consortium news is still here and they have some great writers. RIP Robert Parry. A close friend of mine used to forward all Consortium News articles to me and was a huge fan of yours. He also succumbed to cancer in July 2018 at the age of 68. I imagine the two of you are having some good discussions these days with all that’s happening in this crazy world. I thank all of you for educating and informing us about what’s really going on. Peace.